Read more about modern lighting trends and eco-friendly LED lights. Over the last couple of years, modern lighting has gained importance as one of the major fields of interior design. Truly, it appears that more and more consumers are searching for lighting options that provide both illumination and decor. From traditional to modern lighting, here's a few tips to enhancing your home decor with new lighting ideas. Lighting solutions are taking off in new directions. Consumers are free to choose the perfect complement to their preferred room's style. When it comes to home lighting, pendants are a favorable choice for either overall illumination or task lighting. Apart from functionality the decorative element of lighting is increasingly preferred. Material-wise there is a lot of room for extraordinary designs and experiments with new materials. Additionally, traditional shapes and lighting fixtures composed of elegant crystal are still in vogue. Examples of that kind of style include contemporary chandeliers and modern pendant lights. It is all about the mixture of design elements that allows multiple styles and provides home lighting ideas for any taste. In 2012, life is getting much greener. This basic principle is also of utmost importance for the lighting industry which is concentrating on energy-efficient illuminants such as LED lights. From compatibility with light-emitting diodes (LEDs) and other energy-saving bulbs to materials manufactured eco-friendly, lighting manufacturers and designers are responding to the demands of the 21st century. Not surprisingly, as LED technology offers favorable characteristics in size, there is no compromise on style either. The understanding of home lighting is further extended by its function to accent the respective interior design. Inspirational home lighting ideas can be found for any type of lighting fixture. Those interested in elegant Italian lighting design may choose from highly decorative chandeliers, pendant lights with clear lines or extraordinary floor and table lamps. The achievement of objectives like giving each room an individual character is strongly supported by home lighting. 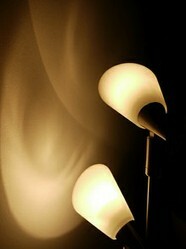 If different home lighting trends are applied, there will be a good basis for different themed rooms. More importance is being given to home lighting trends like pendant lighting. This type of ceiling light fixture allows a maximum of task and ambient lighting at the same time and is frequently used in living spaces such as dining rooms and kitchens. The number of designer lamps visually appealing has evolved greatly. Homeowners continue to understand that determining lighting needs is crucial in order to achieve a perfect lighting ambiance. In this context, lighting professionals refer to multi-dimensional room lighting composed of general and task lighting, ambient and accent lighting. However, there is just a minority of people giving as much attention to lighting as they would to wall covering or flooring. All in all, lighting trends are moving in a direction allowing the overall illuminance to be varied by light color, dimmer, lamp shade design and material and many influencing parameters more.